Some ex-Ferrari people, namely Carlo Chiti and Giotto Bizzarrini, bolted from Ferrari and founded a company called ATS, which Volpi helped finance. Ferrari was not pleased and refused to sell Serenissima any 250 GTOs. So what’s an enterprising Italian to do? In 1963, Volpi founded Automobili Serenissima to build his own cars. Supposedly, eight were built in total and only five survive. Well, Volpi is still alive and apparently is selling three of them at auction in a few weeks, including this car, which is chassis no. 5. It appears that chassis no. 5 may have started life as a Serenissima Jungla – a closed coupe that was later turned into a spyder and shown in road car form. It’s powered by a 3.5-liter V8 and was turned into a racing car shortly after its introduction. It raced at the 1966 24 Hours of Le Mans with drivers Jean-Claude Sauer and Jean de Mortemart. A broken gearbox in the fifth hour led to the car’s retirement from the race. The car is presented in as-raced condition and is not currently running. It is the only Serenissima car to race at Le Mans (they intended to race the Jungla GT but it did not appear). Even still, it should command between $1,500,000-$2,000,000. Click here for more from Artcurial. 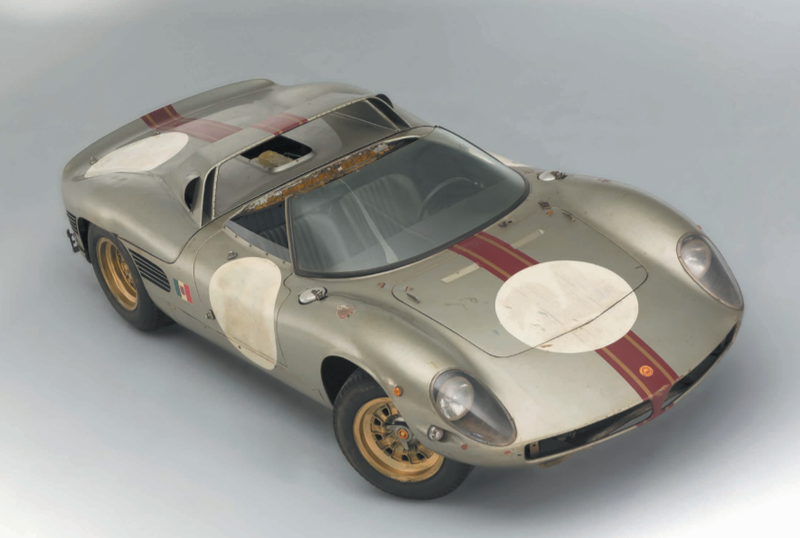 This entry was posted in Uncategorized and tagged 1966, artcurial, auctions, cars, classic cars, race cars, Serenissima, spyder by classiccarweekly. Bookmark the permalink.